"Hyper-V virtualizing was not so easy." Hyper-V was a 360 degree turn for us in which we migrated from VMware to perform laboratory tests and in this we obtained the desired results. It is quite simple for minimum tasks in software testing and its performance to verify functionality for some applications. He has managed to maintain our activity to train our students in the classroom. At the beginning it was difficult to have a correct deployment until it was successfully configured, the work groups were benefited with this tool, avoiding the issue of licenses and the limitation of functions. Once they became familiar, they managed to virtualize units as backup, desks for tests. If you want to delve into the subject of virtualization Hyper-V is free, easy to use and can cover the greatest of your needs without investing so much money in expensive software that sometimes you do not get the most out of it by just using the minimum functions . In our institution we try to provide a good show with the tools that technology provides us and virtualize today is going to the forefront when you want to manage virtual servers, test some applications that cause you certain doubts in your device, make skills tests this is a tool that many would like to get the most out of. "Best virtualization solution for easy of use, price and stability"
Hyper-V virtualization is VERY easy to setup, very easy to manage and very stable. We are using it for 4 years now without any flaw or issue. The management interface is very intuitive, just like using Windows 10 on your PC. Not much based on our business needs. Some larger business will probably deploy lack of very large company options such as load balancing, instant fail over, etc. But from our medium sized business perspective, we found no cons on Hyper-V.
Hyper-V is not only a free virtualization solution for businesses, but it's also a very stable and very intuitive environment. The learning curve for Hyper-V is very simple and there's a lot of ressources online for Hyper-V (discussion forum, Microsoft service, etc.). VMWare is actually the leader in virtualization industrie, but it's a VERY expensive solution and at ultimately it doesn't offer that much of extra features for the money you spend for. I am also happy to see that Microsoft Hyper-V is gaining more and more new business customers each year. We gain a very stable and replicated environment at a much lower cost than building a physical server infrastructure like in the past. From a large single server, we host a dozen of high capacity virtual servers and from a second unique server, we are replicating all these virtual server in the case of a disaster. We gain a very flexible server deployment, backup and fail over solution. The Windows client edition of Hyper-V comes as a feature so it's easy to get up and running quickly. This makes it great for spinning up test environments locally if you have a system that can handle it. For Windows Server 2012/2016, the number of PowerShell commands coupled with System Center Virtual Machine Manager makes it much easier to manage servers. Running Linux VMs on Server 2016 has been very easy with no issues. The client edition does not play nicely when mapping a virtual switch to an adapter. This is not obvious out of the box and can cause a lot of frustration. For the server side, the initial setup of the hosts was much more time consuming than installing an ESXi host. The System Center Virtual Machine Manager is also inferior to VMware vSphere. My colleagues and I find ourselves using Failover Cluster Manager more than the VMM console because it's just not that great to work with. It can almost do everything VMware can do at this point and it was improved much over the years. If you have a more advanced setup, Hper-V might not do everything you need, however. In order to save on costs we have switched to Hyper-V. It is definitely much cheaper with almost the same functionality. "Hyper-V, a lightweight and easy-to-use tool for virtualization." Beign able to virtualize without problems and be free, that is an advantage that we all like. some maneuvers within Hyper-V should be improved in future updates, such as automating some procedures that are currently carried out manually. It is said that cheap is expensive, so sometimes it is preferable that software has a certain cost since it would have a team behind that improves its operation every so often. Would the community agree that it should have performance monitoring of virtual machine. If you want to start in the virtualization environment we recommend you Hyper-V has more than one utility for what you have thought that just try how it works. Hyper-V is very easy to use. If at any time you want to do something more complex you can go testing your paid options in which they can cover the needs of your business. We currently have Hyper-V for the virtualization of laboratory machines and software evaluations for our plants. Recently it was also deployed to carry out the monitoring of some servers and corroborate their performance, all these stages were carried out as test stages within organization. Functionality is built-in to Windows Server 2012 and 2016, as well as Windows 10 Pro - so need to purchase a separate VM solution. It integrates with Windows Server Backup very nicely, making it very easy to backup a VM. Since Hyper-V functions as a server software, can manage multiple VM's hosted on multiple physical machines from a central location. Initial setup can be clunky, and Microsoft's documentation, while vast, can be quite dense. Attaching physical hard disk to a VM, either internally or externally, is a lot more complicated compared to other VM solutions (specifically VMware's offerings). Compressing a virtual disk image (vhdx) can be a lesson in frustration as the compression doesn't always succeed. Support for non-Windows OS' is very weak - it will work with Linux, but drivers are weak. GPU performance for VM's is pretty awful, which leads into Hyper-V is primarily focused on hosting server OS' and is not designed for consumers in mind. For the most part, Hyper-V meets virtualization needs. It is not as feature rich or as powerful as VMware vsphere or similar solutions, but being built directly into Windows is a major, major plus. Hyper-V is being used to virtualize a number of different servers, including a Windows Server 2012 Domain Controller, a Linux Debian machine hosting an open source library management server called Koha, and a Windows 10 machine used for remote Quickbooks access. Benefits are multi-fold - being able to run multiple virtual machines on one physical machine cuts cost significantly. The ability to backup the entirety of a VM - system, applications and all - makes restoring in catastrophic scenarios much less painful. Having a central place to manage the various VM - even if spread across multiple physical machines, make monitoring and maintaining them much easier. "Faster Virtualization with the standard installation"
This virtalization tool create infrastructure Microsoft optimally and in their latest versions allows interoperability with environments and features Unix / Linux satisfactorily. installation mode standalone does an easy way the construction of the node host so strong and robust easy scalability. Allows the creation of containers and ideal for deploying productivity tools in the cloud. The support for Linux/Unix are poor, this has been reported by a significant number of users. The minimalist administrator interface it is not pleased administrators accustomed to environments Microsoft traditional, persists preference for graphics. For one of the implementations of months ago the Hyper-V allowed me to quickly and efficiently deploy an infrastructure environment with several Docker services with the requirements of developers and DevOps, directory services and productivity tools all this in a cloud Hybrid, with a diversity of operating systems. In the private infrastructure it allowed me an easy integration with the storage units. "One of the most user-friendly virtualization apps"
Comes stock with Windows 10 Professional, Enterprise, and Education. Easy to use, easy to change system resource allocation. Even people that aren't "professionals" can easily spin-up their own virtual servers. If you need a very specific environment created, Hyper-V allows virtual creation with very specific options. Does not work with Windows 10 Home. Checkpoints can sometimes corrupt vhd. Has never happened to me, but I've seen reviews. Evaluate all options thoroughly. If you are setting up a bare-bones server, you may want to consider ESXI. But for ease of use, it doesn't get much better. Allows you to spin-up a virtual machine within minutes. Need another terminal for testing, especially in a legacy environment? Done. "Has proven to be very stable and consistent environment"
It is very quick to setup as long as your server has the necessary resources. The ability to reduce the total number of physical Servers and also a cost savings due to having to power less servers. "Why pay more for a solid Virtual Environmnet"
HyperV has been a work in progress over the years, but they have really gotten to a great place with Windows Server 2012R2 HyperV and High Availability. They have added many noticable features in recent releases such as Shared Local Disk for HA & Live Migration for Virtual Storage Manager as well as Virtual Machine Migrations to different Hardware. There isnt as much visibility to what it is doing or status when it is merging or performing other task processes. Live Setting changes to the guest Vms would also be a nice Addition. Extremely urge you to use this, to limit your costs but also make your environment easier to manage. Recently we have needed to Migrate a CORE Oracle DB to a new ISCSI SAN (Bigger and Faster). Previously we would have needed to schedule a downtime and move a 3TB Database Server. With this new functionality, which we are still testing but looks great, we can migrate this core DB VM to a New SAN and New HyperV Hosts in Server 2012R2. This is huge to the business objectives for our large Radiology Practice! No Downtimes! It's an out-of-the-box solution for small businesses who need to run multiple servers for line-of-business or infrastructure, but want to limit their hardware expenditures. The command-line interface on the Hyper-V front end is secure; the MMC plug-in and HyperV Manager Interface are easy to use. The limit of two virtual machine licenses per install. If you're not experienced with command-line interface or PowerShell it can be a bit daunting. We have two small satellite offices that we use HyperV in for running a shipping program that's not compatible with Server 2012 on one VM and a DC/DNS/DHCP server on the other virtual machine. We have two servers set up the same, so we have two DCs in the event of a hardware failure on one server. The second VN on the second server is powered off but is a replica of the Shipping server. "Microsoft's Hyper-V: a robust hypervisor with Microsoft Support"
* Included in Windows Server. * Microsoft support for applications like Exchange or SharePoint on a virtual server. * Allows users to easily run a lot of VMs at one time with dynamic memory management. * Comprehensive security through Active Directory. * Poor support for Linux operating systems. * Requires all VMs to be taken offline for a reboot during routine security updates to OS. Hyper-V has allowed me to create a virtual servers environment on my organization, letting me saving money and time, making easier and faster the activities of updating, maintaining and supporting. In general, it seems to me a tool that allows to generate servers in record time. For me it is an excellent tool, the only thing is to be constant in the backups to the virtualized servers. I recommend it for being a software that although at the beginning you should learn and adapt in the immediate future will allow you to do things faster and easier. "Fully capable, free, but you get what you pay for"
Everyone gravitates to Hyper-V because of one thing; cost. It's free. And to be fair, it is fully and completely capable of running a virtual environment. We ran an entire small business system on it for a number of years. It generally just worked fine, with the occasional hiccup. We were a few versions behind the curve, still running on a 2008R2 server, so many of my dislikes no longer apply. I've been told Server 2012 added basics like being able to reclaim space on thin provisioned volumes, which was lacking in 2008. Our particular environment was a pain to set up, with lots of little pitfalls to watch out for. Like a single hanging blank space at the end of the name of a nic can cause it to fail kind of nonsense. I can't fault Microsoft since most of the headache we had setting it up was HP's fault, and issues with the Lefthand SANs. Though to HPs credit, once you convince the first-level phone support at HP-INDIA to let you speak to a real tech they know their stuff. If you can't afford VMware's offering, it's worth trying out. We were ready for a major hardware update of 16+ physical servers. After looking at the cost of new hardware vs. the cost of a future-proofed cluster of beefy servers that you could run a space program on, the space program ended up being very cost-comparative. Plus now we get to be all virtual now. We're part of the cool kids club. "In a Windows World, Hyper-V is the best way to Scale"
Hyper-V gives you the ability to scale your systems while keeping your hardware budget at a reasonable number. Running multiple VMs on as few as a single physical VM host with the ability to specify different networks for each node - the options and features really changed how infrastructure works in modern data centers. The Managing multiple hosts in a cluster is a bit confusing, especially when RDPing. GUI could be a bit more intuitive. Powershell scripting within a cluster also get's confusing, or I just didn't spend enough time navigating the documentation. Pull the trigger and enjoy the savings. Physical infrastructure costs have been greatly reduced. Having multiple Development environments on one laptop. The ability to scale at will is incredibly freeing. "Deployed hyper v for customers"
Management can be a tricky thing. the MMC console is hard to get going with if you are not on the same domain or work group as the server. It is generally not great to to bind the hyper visor to a domain in a small environment because the host would need resources from a guest to function. Features are less then what VMware offers but it has the essentials. It also has less support from 3rd party appliances which are ported to VMware first and hyper v later. "Good hypervisor for development and general purpose"
Hyper-V is easy to use and is integrated well with Windows Server. Recent releases have improved support for non-Microsoft operating systems and for containerization. VMWare got far ahead in virtualization, and in many ways Hyper-V still suffers that history. Organizations should carefully compare Hyper-V and VMWare for production workloads according to their needs. Hyper-V tends to be less expensive and fully adequate for all other workloads. Hyper-V also provides a smoother transition from on-premise to cloud hosting. In particular, migrating from on-premise Hyper-V to Azure hosting is quick and reliable. We primarily use Hyper-V for development and testing purposes. The most significant benefits involve time savings of switching between environment, rolling back changes, etc. "Product that allows to switch between and manage different development environments." Ability to enable dynamic memory on the selected machine, alternate between dynamic and fixed memory. Control the amount of virtual processors, limit processor usage. Setting up and modifying hard drive size, ability to use dynamic sized HDD. I have been using this software for over an year and thus far did not ran into any annoyances. If you're running a software development process that requires multiple different on premises environments either at the same time, or if you need to switch between them quickly, hyper V helps to achieve the required result really quickly and easily. Using different development environments, quickly switching between them, creating checkpoints resuming previous state before executing experimental operations. "Great Potential which gets better with every release"
It's integrated into our existing environment, making the jump to virtualization far less painless. Also the tight integration with Azure for on the fly scalability is great for shops with a lot of temporary needs. If Microsoft ever plans to bump VMware, which would be very difficult to do, there focus needs to be on enriching the management experience for IT people while being mindful of creating overhead. SCM VMM is a nice tool, and so is the Hyper V manager, but in contrast to the concise interface you get with vCenter, Microsoft's offering is deficient in many ways. Also, while MS has a wealth of learning for core installations, the leap for an IT pro to move from the GUI environment to operating a server core installation is jarring, leading most people just 'kicking the tires' on Hyper V, to do so on a non core install of Windows, thus incorrectly drawing the conclusion that esxi significantly outperforms Hyper V. In reality, sever core is closing the performance gap with esxi in every new version. Evaluate Hyper V using a server core install, otherwise, you're comparing apples and oranges. Consolidation of physical hardware using a platform readily available and baked in to our existing infrastructure. "Free and Capable Virtual Server Manager for Small or Mid-sized Companies"
It is free from Microsoft with Windows Server 2008 R2 and higher versions. It is also free as a stand alone server product as Hyper-V Server 2012 R2. It is easy to install as a role with in traditional Windows Server operating systems. It is easy to manage existing machines and deploy new machines. It also provides a great introduction to virtual machines and infrastructure with less chance of a irreversible mistake. Since Hyper-V is running on top of Windows, there is significant over head from Windows Server and it's processes. As opposed to VMWare's ESX offerings and other competitors that are running on a much less footprint Linux operating environment. Hyper-V also has significantly less monitoring and other tools compared to the at cost VMWare ESX offerings. It is a good choice for small to medium size companies on a budget. However, due to it's limitations and the over head from running on Windows, if you have the budget you should go with something Linux based like ESX. Our IT department supports a sister company of our parent company, they are too small for their own IT department. Due to their budget, they use Hyper-V for their designated virtual server. It is run on a Dell PowerEdge T610 server and currently runs 5-6 machines without issue. The Dell machine is dual-process and has 96GB of memory. One highly spec'd server has replaced at least five physical servers which has reduced their energy consumption not just by the servers and their power usage, but also through reduced cooling costs. "Perfect stock solution when you need multiple virtual consoles on one server. " Ease of changing resources between the virtual and physical machines. If I need more resources assigned to one VM, it was fairly easy to reassign those resources. Everything runs seamlessly. Made 2 manage is running on a virtual machine while the physical machine serves as a backup PDC. I didn't do the initial setup, so I haven't ran into anything I haven't liked. Great virtualization software. Meets our needs for hosting Made 2 Manage. We needed a new server for Made 2 Manage and this was how our server provider suggested we setup the system. Running M2M on a virtual server using Hyper V.
"Good virtualization platform for running multiple environments wtih low overhead"
Sharing of resources is invaluable, simple to use and being able to create multi environments on one piece of hardware gives smaller businesses a realized savings. Ease of use also is something that makes this a go-to product, it really couldn't be easier. Snapshots are very large in size and while doing a migration additional disk space becomes scarce. Management console could have more functionality. Requires additional software like Microsoft system center virtual machine manager to do more with it. Great product if you already use Windows Server. Good for small - medium enterprise. Cut down on the number of physical servers deployed realizing a high cost savings and making maintenance much simpler and quicker. Makes quickly ramping up servers seamless. No more physical hardware to worry about. It is built into Windows Server Operating Systems and has a very easy learning experience. It is very capable and I have not had to consider other virtualization software as a result. It is still fairly new and therefore not as feature-rich as its competitors. If you use Windows Server Operating Systems for your business, then you might as well give Hyper-V a shot, as it is a built-in feature and enabling it is easy. There is no additional cost to your company if you already have an existing Windows Server machine onsite already. It is very easy to get a VM going and other users can easily manage them as well remotely by installing the manager. It is easy to save snapshots of the VMs and restore back into them. Hyper-V has matured over the years and can now easily stand above other virtualization products. However, the main kicker for management is cost and since Hyper-V is less expensive than other comparable products, they will likely agree to giving it a go. Hyper-V has allowed us to easily create test environments virtually without using up other physical devices. "Hyper-V is useful for creating a workspace for applications that need older software"
The ease of creating a VM is wonderful. It allows our users to use Internet Explorer 8 because some specific software requires Internet Explorer 8 or less. The ability to have multiple virtual environments without the use of additional hardware taking up physical desk space is great. Using it with Windows 10 virtual desktops and using the CTRL-Win-arrow key shortcut makes it feel like you are using a KVM switch connected to multiple machines. Hyper-V would be more useful if we could use Linux images as well. It works well enough for any Windows environments, however the VHD's are quite large, so make sure if you are running multiple Hyper-V environments that you have a large hard drive. We use Hyper-V to allow users that need older software like Internet Explorer 8 to have access to both environments. This is useful because we don't need to buy additional hardware and take up physical space either. "One of the most powerful virtualization tool"
The integration with Windows Server operative system provides one of the most stability in the industry, also the resources administration turns easy with this program. You can easily change available resources between the virtual hosts and clone or backup the virtual machines. With Hyper-V, you are only presented with the option to adjust the resolution in display properties on the VM with standard resolutions. With others brands, you can drag the corner of the screen and size to virtually any custom size. Also transferring files needs an improvement for easily access between hiper-v server and virtual machines, or between virtual machines. consider the minimum requirements to this system to run, available only at Windows server 2008 and up. Server monitoring and administration, physical space saving, energy saving, efficient use of resources, servers fast availability and maintenance, save on licensing costs compared with the others brands on the market, Microsoft will also provide better support for its server applications if they run on Hyper-V rather than third-party virtualization platforms. Until now there is nothing which I have disliked about it. Increasing the Disk sizes, Processors, RAM and complete scalability of the server is done without investing anything additional. Moving the Hypervisors around on different hosts is a very simple process and it is very easy to learn. "Great tool which is improving with every release"
We are shifting to Virtualization and HyperV makes it very easy to do that. It integrates with our current environment and have very good integrations with other Microsoft services that we use. I think it doesn't quite work with large scale infrastructures. You can start with small servers. Configuration and management is very complex and takes a lot fo time as compared to alternatives. On the other side, it provides little administrative powers on the virtual machine side. IT. Set up small virtual servers for various demonstrations where a virtualization platform is required. Free HyperV version doesn't provide all of the capabilities as compared to alternatives but it was enough for us. For most of the processes of integration, you require the visual center of the liquids, which makes it more expensive at the granddes solutions level. To host one or two virtual servers in a small environment. This software will do the job but on larger infrastructures this isn't the ideal solution. The management of the resources is a lot more work to manage compared to the other vendors. Limited administration on the virtual machine side. Virtualizing servers for small offices is the ideal solutions with Hyper V. Since you are not only getting Windows 2012 R2 plus another servers and licensing makes it very practical and cost effective. "Hyper V - One of best ways to virtualize Microsoft"
I really like how it share resources, how a single hardware can split to several systems and get small systems doing small tasks without overwhelm a single system, works great as for small environments like larger ones, always keeping track of resources, performance, etc. And pretty simple. Not much at all I would say, I really love how it is, maybe need some improve about how export from vmdk to vhd ( or I need a bit more of training) to make processes works better, but to be honest there's nothing that I really hate significantly. Not many, just improve migration processes and snapshots proccesses which tend to fill up the drives. Usually this come to cover the need of handle many physical servers in only one, it save importantly charges of power, maintenance, save space in the data center, makes also secure the network becuase you will have only a single HW instead many. The uses of Hyper V makes it easier if you hold a 64 Bit Windows Operating Systems. I normally use this to provide demonstration in my lesson and also for self exploration in the IT industry. Only dislike I have is the layout of the Hyper-V Manager. It needs refurbishment to enhance the look of the user experience. I thoroughly like the features of Hyper-V. It is easy to set up and the tools are available to use. IT Industry. Setting up Virtual Servers for demonstration. The benefits that I have realised is I am using this particular software for work purposes and support my peers in learning IT. "Solid solution for SMB; Even Enterprise"
The Hyper-V replica feature has show itself as one of my favorite features Microsoft added into Hyper-V. On more than one occasion it has proven itself reliable and effective. On top of the fact that I have been deploying my Hyper-V solutions with Cisco 10 Gbps switching, the solution is near flawless when designed and executed properly. Recently ran into an issue with Unplanned Failover, and the first Host didn't attempt to detect if its replica server was already running before starting the original VM up. It didn't cause too much trouble, but it would seem like a natural check that a system aware of itself being replication would check for. If you are looking for cluster solutions, replication solutions or just an easier way to do virtualization, Hyper-V has definitely proven itself. I work with both vmWare and Hyper-V, and no amount of bells and whistles from vmWare would make me stop deploying Hyper-V solutions for my customers. Especially those that dont have million dollar budgets for vmWare type DR designs. Hyper-V consistently and reliably supports major workloads and you wont be disappointed. Many of our clients refuse to go into the cloud, and want to continue with a reliable on-premise solution, and Hyper-V 2012 and Hyper-V 2016 have shown themselves to do that. The ability to failover customer sites to a secondary data closet in the same building, same rack, or distance remote office just makes replica the way to go. "Great alternative to VMWare and KVM virtualization solutions"
It integrates well into the Microsoft ecosystem of software that most people are using at work and at home. I can transfer virtual machines between my personal computer, and dedicated Hyper-V servers, and pretty much anything else that runs Windows. There are a lot of things that aren't supported with Hyper-V. Things like hardware pass through, and memory deduplication. The free version that Microsoft provides is a great way to get started. You can also run Hyper-V on Windows desktop computers to try it out. I have a few physical servers, but need to run many different services like an Active Directory domain server, and a RADIUS server. Hyper-V lets me do this in a way that's very flexible. Hyper-V is a great solution for Microsoft AD networks. Cost is minimal. Using built in tools along with the option to setup and use replication between hosts can be a life saver. Especially when utilizing older hardware. Carefully plan implementation. Keep in mind replica’s and library resources needed for replicating and running on additional separate hardware. Being able to utilize older hw I can extend current hw investments. "Can't beat the price, management and resource monitoring needs work"
The price. I switched (reluctantly and begrudgingly) our hosts from VMware to Hyper-V to save massive amounts of money and haven't really regretted it yet. It lacks some features (robust management and resource monitoring) one would consider essential for a large enterprise, but there are 3rd party apps out there that fill the void, albeit not free ones. I like that I can do replication between hosts/clusters without any additional licensing. I don't like not knowing at a glance how many resources are being collectively used by the guests. I really miss that from VMware. Very low-cost alternative to VMware. I won't expound upon the benefits of virtualization, anyone considering Hyper-V should be aware of them. Tight integration with Windows ecosystem. Free edition can be a bit awkward to manage outside a domain environment. Replication sometimes breaks without obvious cause. Failed or complete backups sometimes leave orphan avhd files that can be awkward to locate and remove. Find a free or low-cost virtualization solution that's easier to manage, support and backup than vmware. I achieved all these objectives; VM backup is trivial using VSS and windows tools. "Cost-effective Virtualization Platform for School Districts"
We do not have to pay extra for any licensing, since we currently have a Microsoft agreement. Even without the agreement, the cost is much lower than the other platform we reviewed. Easy to manage, stable and works well with many operating systems, not just Microsoft. Not all products are compliant with Hyper-V, but we have found that software that isn't compatible with usually still work even if it is unsupported. Great alternative with new improvements with the updated versions of Windows Server. We had about 15 aging servers, costing as much as our annual budget to replace. Also the room was difficult to keep cool in the summer in an older building. Virtualization eliminated a majority of the heat and also maintenance. "Great, but still some hiccups"
Hyper-V makes deploying Windows VM's super easy and straightforward, especially when operating at the scale we do (100-10000 VM's deployed at a time). I have used XenCenter before, and it just doesn't compare to this product. I also really like that it is compatible with both Windows and Linux, which makes it possible to not have to use a product like VMWare or Virtualbox in conjunction with this. I don't particularly like the way networking is done when setting up many VM's, but that seems to be a rough point with many existing services (Docker, VMWare, Virtualbox, etc.). I wish this was easier. It could be more straightforward with Hyper-V.
Just be sure to follow the documentation provided to a tee! Also, be wary about the networking setup if you are deploying many machines. The documentation is pretty straightforward; however, it is worth noting that there is an excess of external documentation as well that you can look up, though not as much for services like VMWare. We're using it to deploy anywhere from 100-1000 Windows VM's at a time for the purposes of a software testbed, and it works extremely well for this. Other solutions don't handle the intricacies of Windows OSs as well. "Our company uses hyper-v for our dev network"
I love hyper-v replication feature it is easy to set up and use. The fact that it is available without extra cost is also a big win for our company. Hyper-v without System Center Virtual Machine Manager (SCVMM) is like ESXI without Vsphere. However there are many things you can use for the base hyper-v application for. The worst part of hyper-v is if you don't join it to a domain. Without AD the hyper-v is very difficult to manage. As the best option is to install the bare metal hypervisor connecting to it when it is not on a domain creates a hassle to manage. "Getting better...from the first releases to current, its really grown!" We have always been a primarily vmware shop. 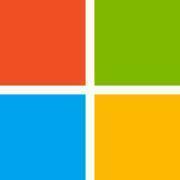 We are a gold partner with Microsoft so it is available free to us. after trying out the first HyperV when released we decided it would not make sense to run our infrastructure on it. so it was disregarded as a solution until windows 2012 come out. We had revisited with much amazement sat the improvements that have been done. It now has been running almost 2 years in out staging environment and has been fairly solid. not much so far. just waiting for next version to see if it is any better with any added functionality. If you have used the older Hyper-V versions...its some a long way! Runs all pre production servers for our developers. "Gets the job done, but a few missing features"
Easy to set up and configure virtual machines. Speed is pretty good. Never had any problems with crashing. If you have to stick with Microsoft products, this will get the job done. I work for a software company - I need a virtual machine to run different versions/configurations of our software to support customers with different setups and to do testing. "A contender for those on a budget"
For what a small business will need to accomplish with scaling down a physical onprem/hosted server farm, it's a great solution. If your end result is needing to maximize the usage of your storage space/budget with your servers, Hyper-V is a winner. It's still not near the robust feature set that it's competitors are hitting. When I need a rock solid VM plan that includes fault tolerance and a V-Switch that covers hundreds of servers without a headache, I still reach to other solutions. I also hate that I don't have the ability to properly break down control to individuals to control their specific resources within a management page without significant work. I should be able to allow people to reassign/review their assigned resources across a cluster without having to give them ease of visibility to others. You need to review other solutions on the market before confirming Hyper-V, especially if you have more then 3 servers within a cluster. I've found management on a large scale to be troublesome. Hyper V fits the mold for our clients that are not used to managing other competitors products using their in-house IT teams. It allow for virtualization within a Microsoft shop, and allowing our partners to leverage additional support from Microsoft at no cost with their SA licensing. The biggest benefit is the scale down of the physical on-prem servers we have, without investing significant money into additional software that generally can be out of budget, and not implementing a free solution that is either watered down/comes with no support. The new feature that allows you to send commands that are processed directly into memory from the host server. This is huge. There are a lot of features that VMware had that you are starting to incorporate into HyperV now. I dislike how long it takes for a company as large as MS to get a working product. I'd love to be 100% Microsoft, but that is nearly impossible. We use HyperV for a few items that do not play as nicely on VMware. Mostly the DBAs complained about not having it, so we set it up for them. It is a great way to virtualize machines, but not as good as VMware. "Hyper-V good for small companies with Windows 2012R2 based infrastructure"
it gives possibility to create virtual infrastructure in one server and utilize HW more sufficient. Management console and functionality are not so great and convenient in comparison with VMWare/Citrix XenServer products. requires Microsoft system center virtual machine manager deployed on windows server based platform and configured to provide more functionality such as virtual machine migration, HA etc. Performs level2 virtualization. Deploy Hyper-V in case if there is no possibility to utilize better hypervisors available on the market with more functionality included. As hypervisor provides better HW utilization and ability to run many virtual servers (depends on memory capacity) on one physical server/host. Hyper V was super easy to set up. Once I had the server ready I was literally up and going in a few hours. There isn't as much to to as VMWare. VMWare is more robust and feels like a much better product. I would consider VMWare if you can afford it. I needed to get some older physical servers out of my environment. I found it easy to setup and use. I am currently in the process of converting 90% of our server into our Hyper V environment. It has been stable and the performance has been beyond my expectations. It is a solid alternative to VMWare. I really don't have any dislikes about the product. One thing I could see some improving on is a better in box tool for doing P2V conversions. I have found ways to get things to work but it is a little cumbersome. Better and Easier HA setup configurations. Better P2V tools. Decreasing our rack foot print, power consumption, cooling cost, and hardware cost. Hyper-V is an affordable rock solid hyper-visor that is easy to use. Moving virtual machines from host to host is easy and we have done so multiple times. We have over two dozen virtual machines hosted on Hyper-V, of which half is for production use. We haven't had an outage in over three years. Great product. Hyper-V have minimal management capabilities. When compared to other products like vmware, it lacks the ability to manage multiple VMs which makes the application of patches easier. It could also use load balancing features which other products support out of the box. Definitely one of the top contenders. "Fairly easy to use, but not the best enterprise solution "
To setup a simple vm it's beautiful. Configuring vlans is a breeze. Adding disk is a breeze. Ability to interact programmatically with powershell is great! Not great tools for monitoring true disk usage when using thin provisioning. When wanting to do more advanced features like putting your vms in the cloud, it's pretty ugly and they have multiple layers of software that can be very confusing... Don't even think about using the hyper-v tools when you should be using the "failover" clustering tools. Being able to virtualize our datacenters has huge benefits, one big one being able to move a server from one host to another for planned outages to minimize downtime. Another being able to quickly recovery from hardware errors by booting vm up on another host in seconds. If you're a Microsoft shop this product is solid, dependable and plugs into Azure quite easily. The price point on this product compared with other virtualization technologies is also much better. In terms of usability, this product is intuitive, easy to use and is a great way to manage your organization's VMs. Perfect solution for small to medium size business right now, but not as feature rich as vSphere. Allows your organization to centrally and easily manage all of your VMs all within one pane of glass, while making you ready to move your work loads into the cloud. "How did I ever live without this?" easy to spin up a clean system for testing and then blow it away completely without having to rebuild from scratch. Setting up iscsi connections across vswitch is kludgey and you never feel confident that it's working the way its supposed to. it's free. Careful with the v-switch settings, keep configuration of network cards simple. * We monitor all Hyper-V reviews to prevent fraudulent reviews and keep review quality high. We do not post reviews by company employees or direct competitors. Validated reviews require the user to submit a screenshot of the product containing their user ID, in order to verify a user is an actual user of the product. Hi there! Are you looking to implement a solution like Hyper-V?